I hope you all enjoyed your weekend. I spent some time shopping at Handmade Harvest where I got to speak with numerous wonderful vendors while drooling over their handmade creations. I started my holiday shopping (which will be completely handmade), and got to thinking. Shopping handmade for men isn't easy. 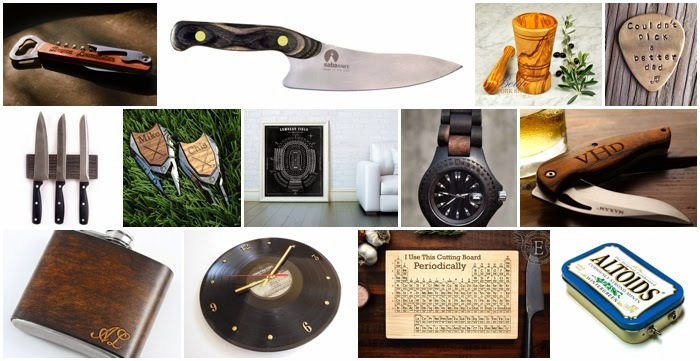 There seems to be loads of handmade options for women (jewelry, bags, bath products, beauty products, candles, scarves, etc, etc), but you have to dig a little deeper to find great handmade gifts for the men in your life. I've done a bit of the hard work for you and found these fabulous handmade gifts for him, all available on Etsy. 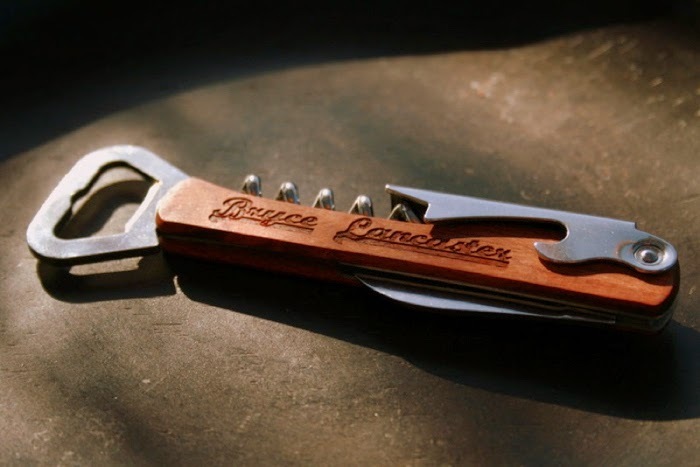 For the beer drinker in your life, this personalized bottle opener is the perfect gift. Have his name engraved on it to make sure it never goes missing and always makes it home. Does the guy in your life have a passion for the culinary arts? This handcrafted kitchen knife is perfect for cutting meats and cheeses, and comes with a lifetime guarantee. 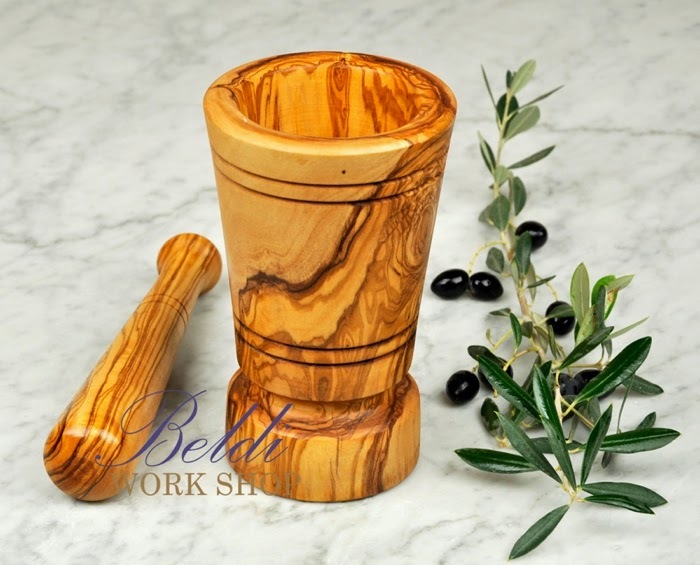 Another great pick for the guy who's great in the kitchen, this mortar and pestle is perfect for hand crushing fresh spices. They are made from the dense wood of older olive trees that no longer produce fruit. 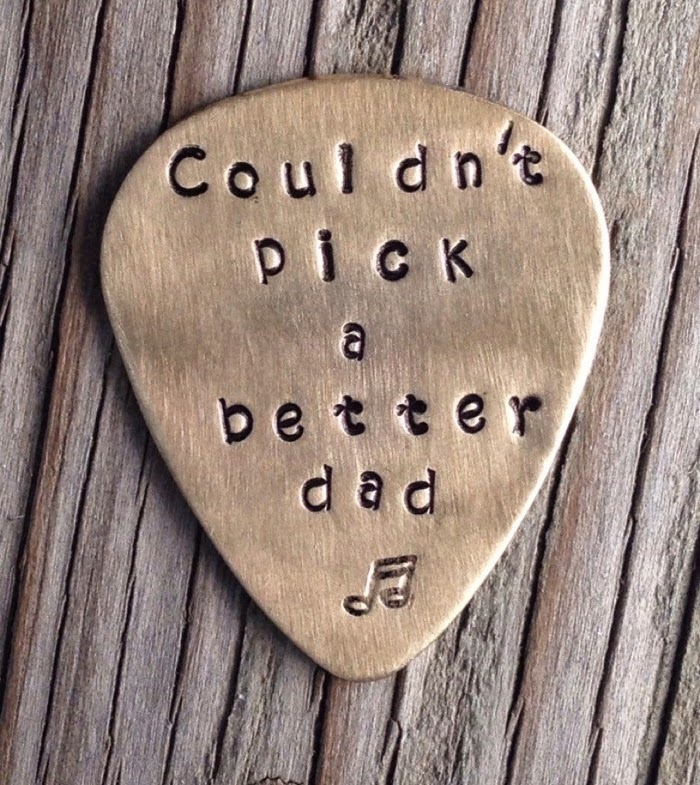 For the guitar hero in your life, these hand stamped guitar picks are a great gift idea for your guy. With different phrases to choose from, you're bound the find the perfect pick. 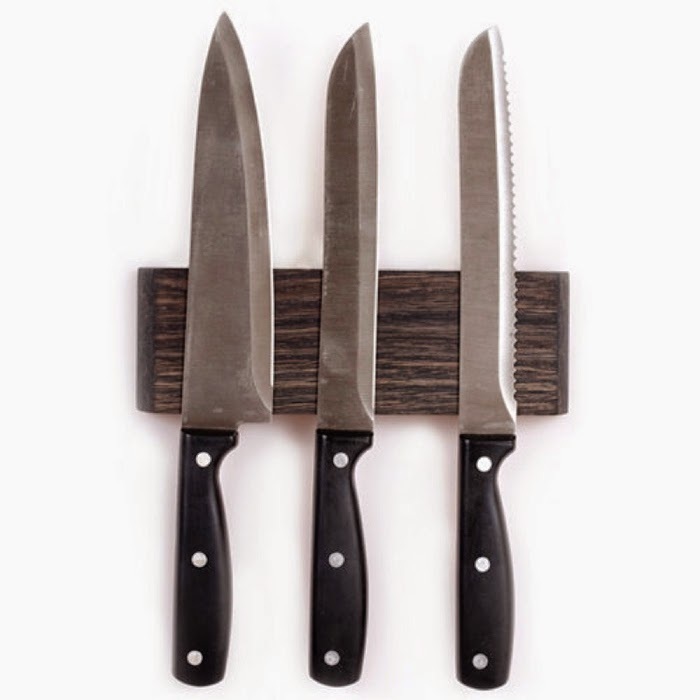 For handy access to the finest blades in the kitchen, this magnetic knife holder is a great kitchen gadget for an amateur chef or barbeque master. 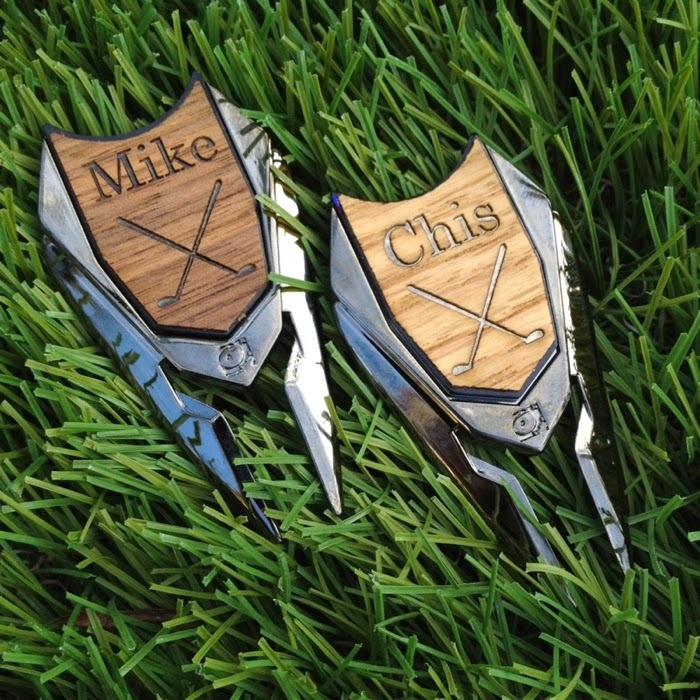 Another great personalized gift, this time for the golfer in your life. They are handcrafted from either light oak or dark walnut, and hematite finished metal (derived from a lustrous black stone). They are the perfect addition to his collection of golf paraphernalia. 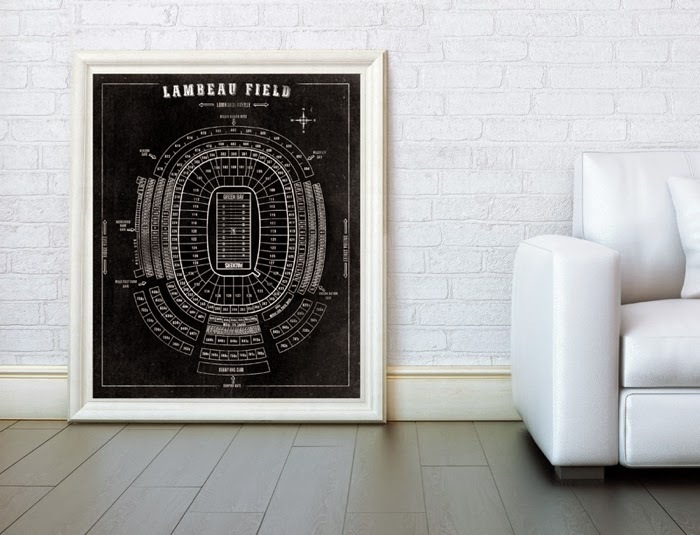 Perfect for the man cave, this blueprint of the seating chart at Lambeau Field (home of the NFL's Green Bay Packers) will make any Packers fan very happy on Christmas day. With prints of other stadiums for sale as well, this seller has you covered. 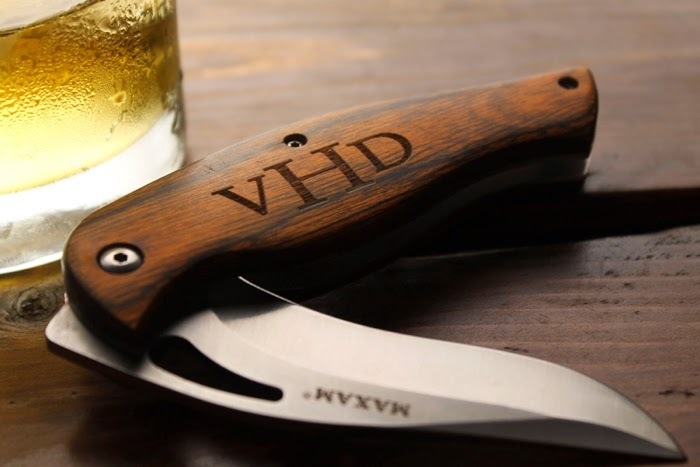 Every man needs a pocket knife, so why not one with his name on it? With a durable wooden handle and stainless steel blade, this knife is built to last. 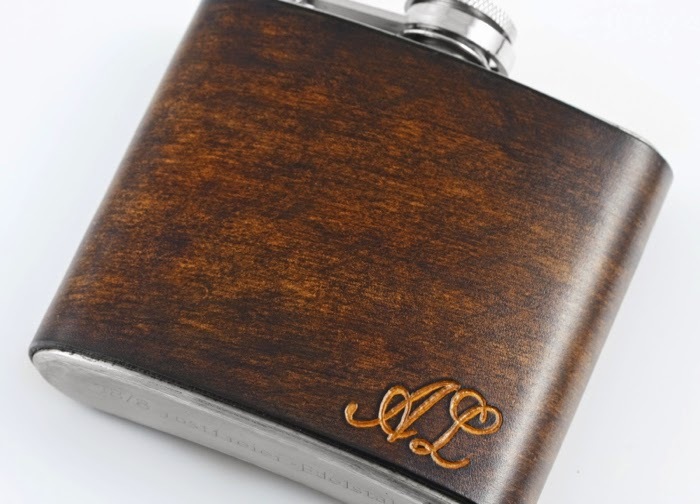 This handcrafted Italian leather flask is engraveable with initials or your guy's name, made from high quality steel and vegetable-tanned Italian leather. Perfect for the classy liquor enthusiast in your life. Does your guy love to rock? 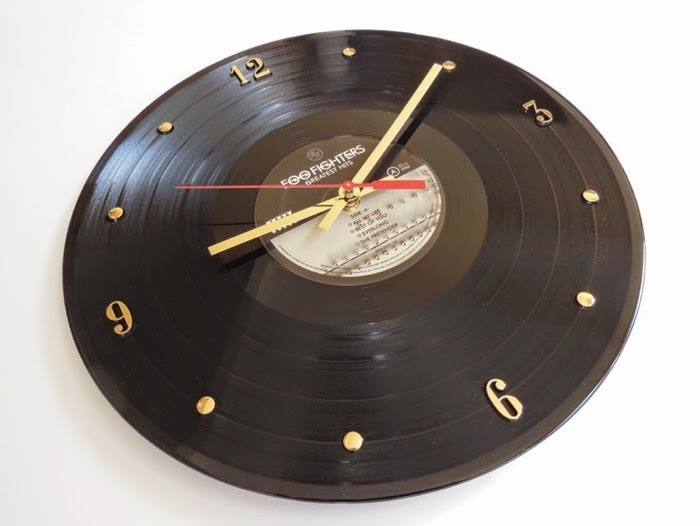 This Foo Fighters record clock is man caved approved. 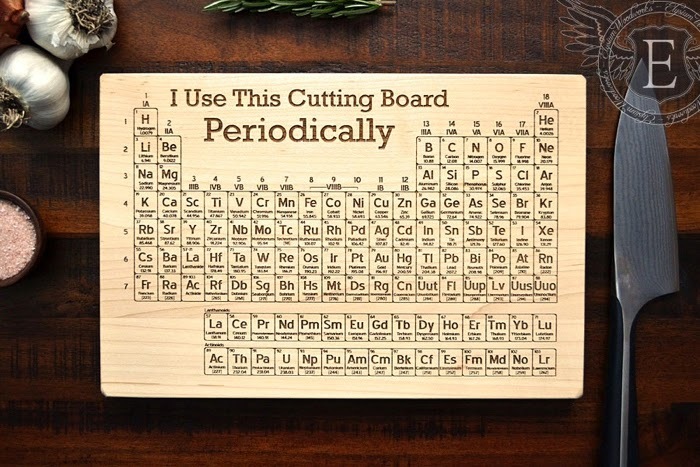 For the science nerd who loves to cook, this periodic time table cutting board is a surefire hit. I's made-to-order and comes in maple or cherry. 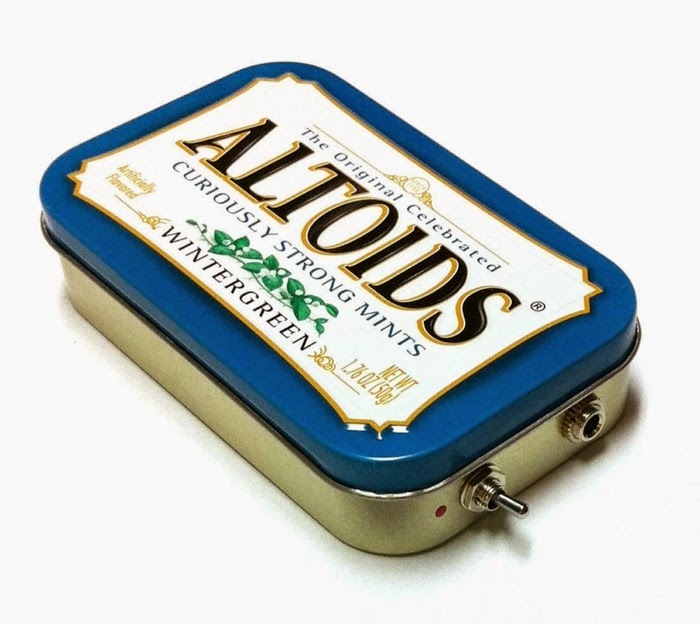 If your guy like gadgets and music, this Altoid amp/speaker is THE gift. Useable with all of his devices, this speaker can be connected to anything with a headphone jack (and even includes the cable). I hope I've helped make your handmade gift shopping a little bit easier. Don't forget to support local and handmade artisans this holiday season!